The Ulmer Spatzen Choir, under the direction of Hans de Gilde, is one of the most well-known children’s choirs in Germany. 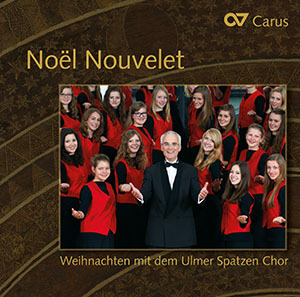 The girls’ choir, a part of the Spatzen Choir, presents a selection of favorite pieces from the choral collection Weihnachtslieder für Sopran- und Altstimmen (Carus 2.135) which is being published at the same time. Here well-known and lesser-known works are paired, classical pieces stand side by side with gospel, or the unusual appears next to pieces with catchy melodies. 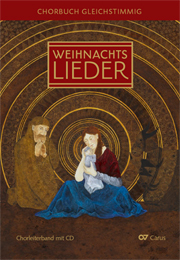 Die singenden Mädels unter Hans de Gildes Leitung präsentieren sich mit ihren hohen Stimmen stilistisch vielseitig. Der Chorklang ist homogen, leicht, beweglich – und stets kitschfrei.